Ruling out to be the follower of India’s first Prime Minister Pandit Jawahar Lal Nehru, Bihar chief minister Nitish Kumar said he is not the follower of Nehru but he is the follower of the Father of the Nation Mahatma Gandhi. He said Mahatma Gandhi, Ram Manohar Lohia and Jayaprakash Narayan are his role model not Pandit Nehru. However, he considered Nehru as National hero and lauded his role in the freedom movement. He said Pandit Nehru’s contribution to the freedom movement cannot be forgotten. He expressed his sadness over the calling a road Bailey Road despite the fact that it was officially renamed as Jawahar Lal Nehru Marg. “I have tried hard to remind people and even officers to call it Nehru Marg, but they still use its former name. It appears that people who changed the name didn't do much to popularise it," he said while addressing an event related to engineers. Showing his distance from the anti-BJP grand-alliance, he said “I follow Bapu, Lohia and JP's ideals”. 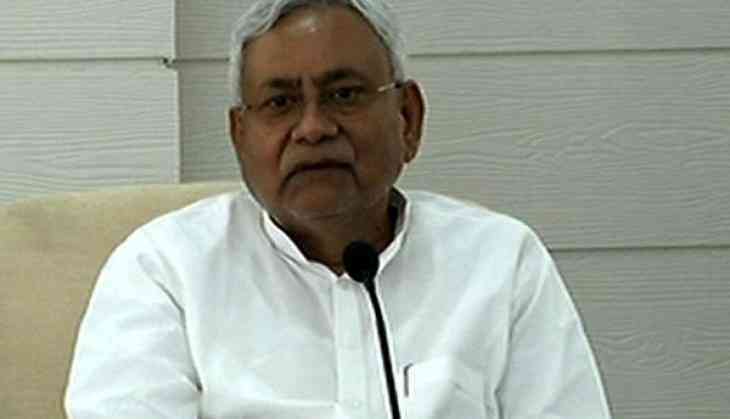 The congress said that Nitish Kumar’s flip-flops cannot be taken seriously. Reacting to this, a senior Congress leader said “Earlier, Nitish Kumar praised Nehru ji and called for an RSS-mukt Bharat”. The Chief Minister was one of the most of the critics who called for RSS-mukt-Bharat. He had broken his alliance with the BJP over naming Narendra Modi as Prime Minister Candidate.